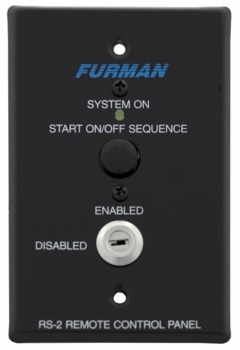 Furman RS-2 Keyswitch DJParts - All Variety of Parts that DJ Needs. 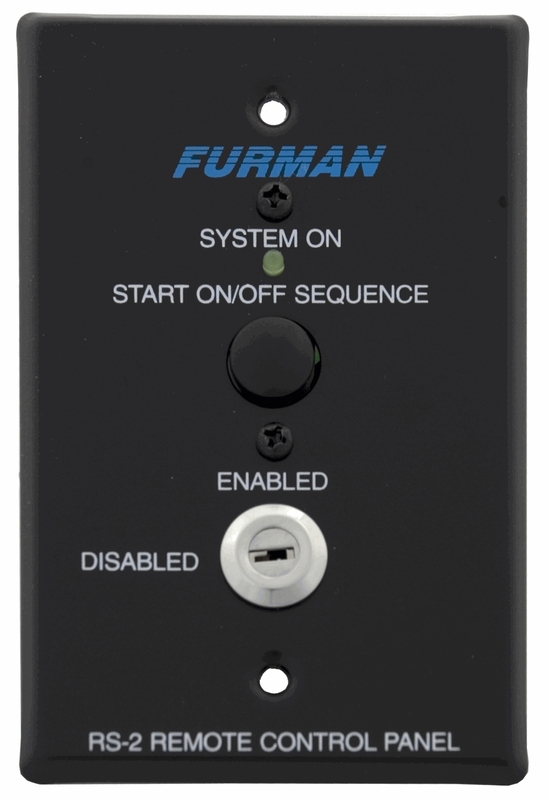 The RS-2 Remote System Control Panel provides a simple way to control AC equipment from one or more locations, using only inexpensive low-voltage wiring. The panel can be easily installed in a single gang switchbox with a minimumdepth of 1.5”. Features include a locking key switch and a ”System On” indicator LED. The RS-2 includes a momentary "Start ON/OFF Sequence" push-button. The rear of the panel has a circuit board with a full size barrier strip for field wiring connections. Dimensions: 4.75” H x 2.75” W x 1.5” D.